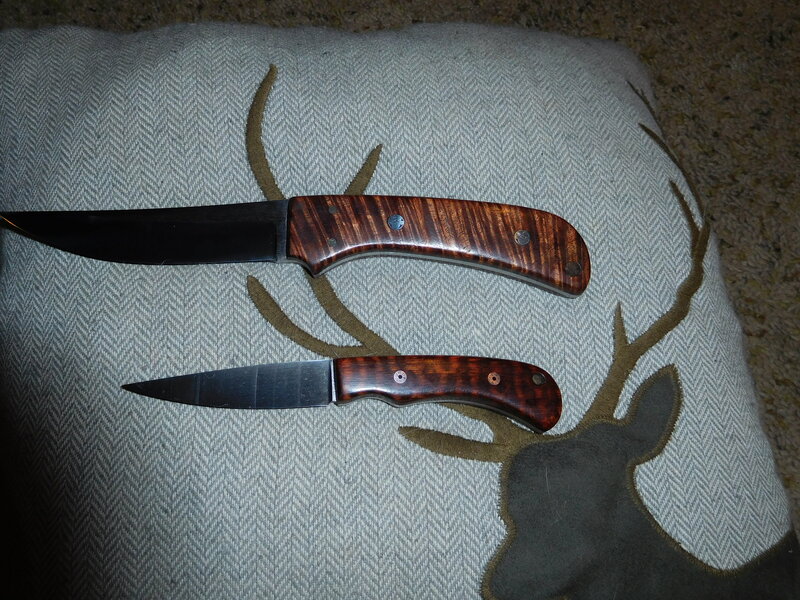 Sorry for picture quality but I wanted to show the two woods. 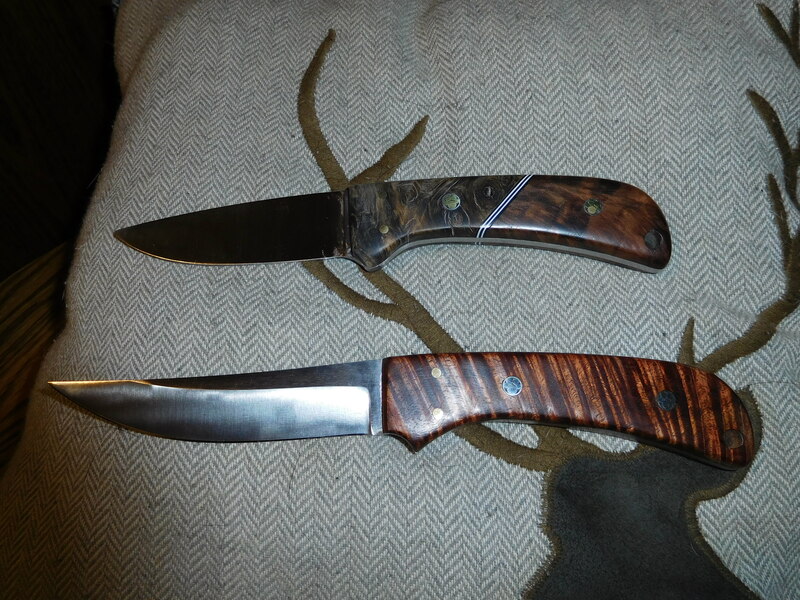 Small knife is the snake wood and big knife is Koa wood. Neither has any finish on them or blade buffing. BruceBruce1959 and gfdeputy2 like this. 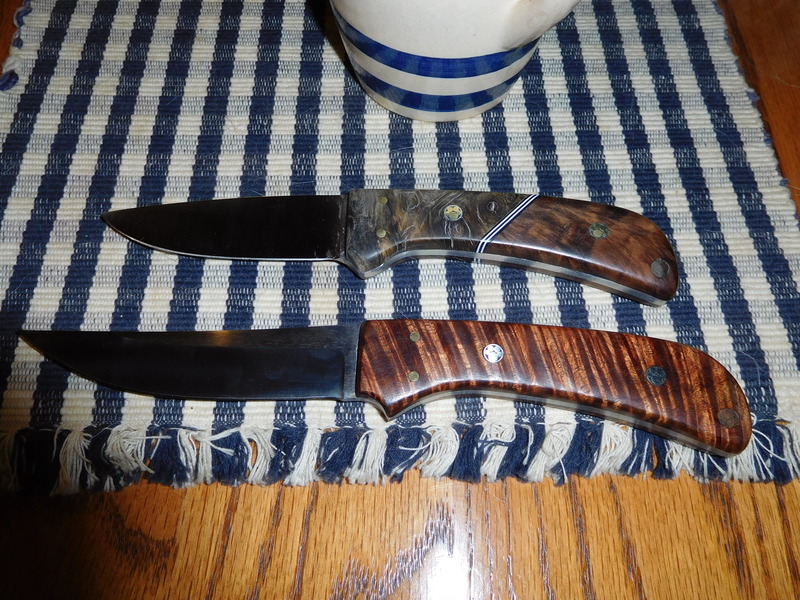 GFD2, here are the two knives to chose from, I can have either one ready for Christmas with a sheath. Let me know and thanks. The Koa is fairly big and the buckeye/walnut is just about deer sized. Neither one has any finish on them and not buffed out yet. The 3d effect of koa wood is why I enjoy working with great pieces. 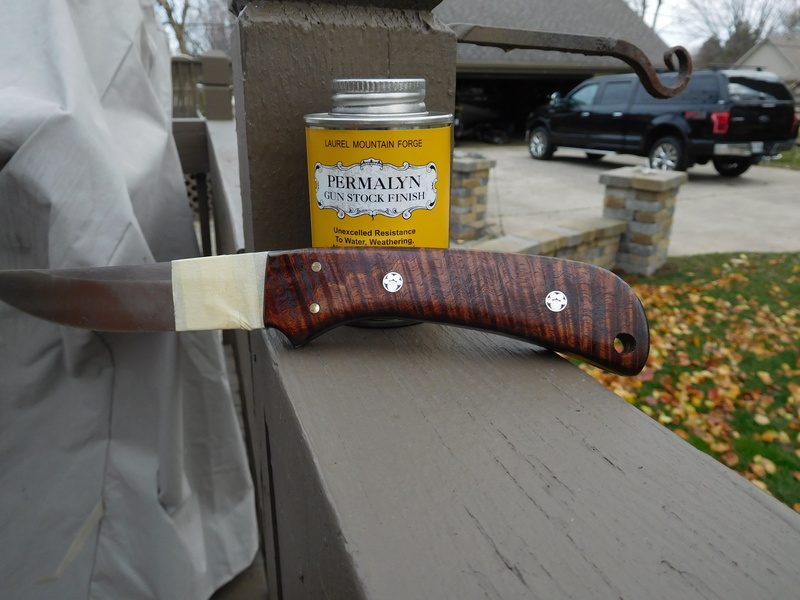 This knife has 1 coat of sealer on it and already is showing nice depth of contrast. After 5 coats it will be ready to polish and ship! I used dog paw pins in the handle, Lab paws of course. 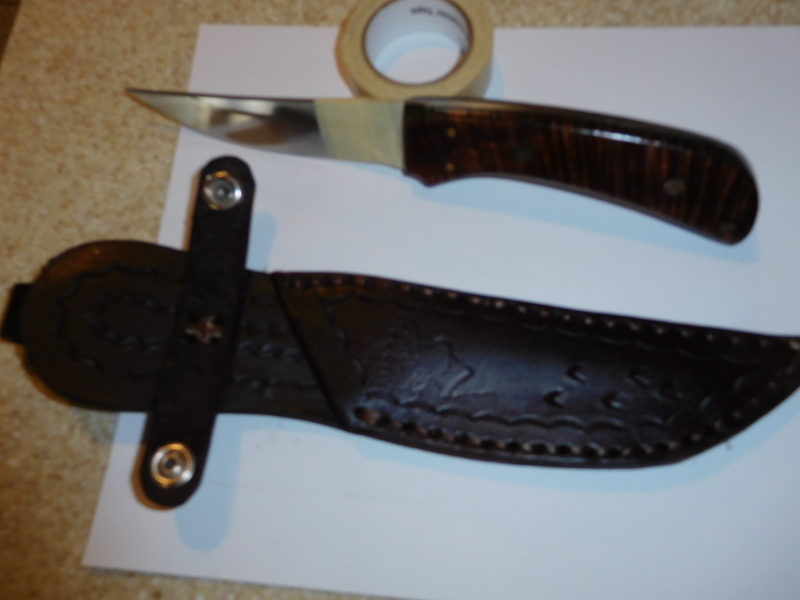 The sheath is well on it's way of being ready for service. D-2 tool steel used. starting to put sealer on the buckeye/walnut knife . I'll post a picture when finished. 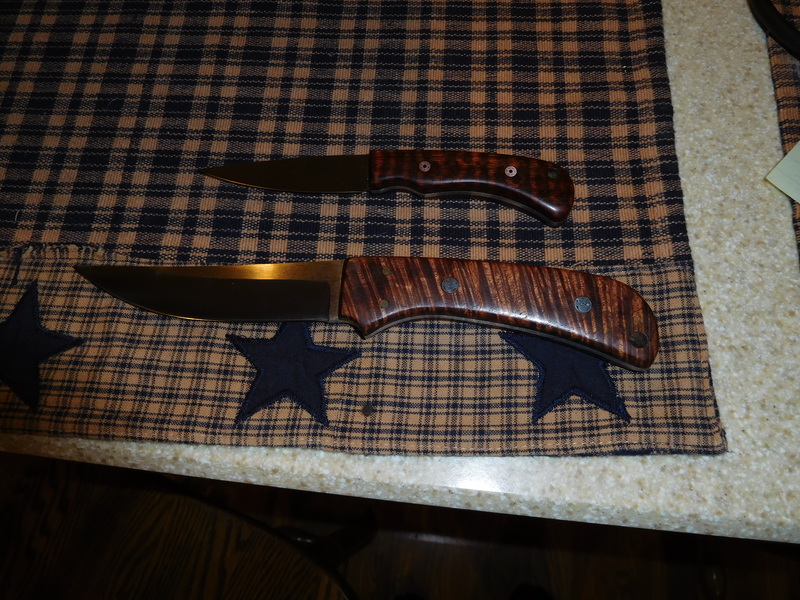 well the son got the buckeye/walnut knife. 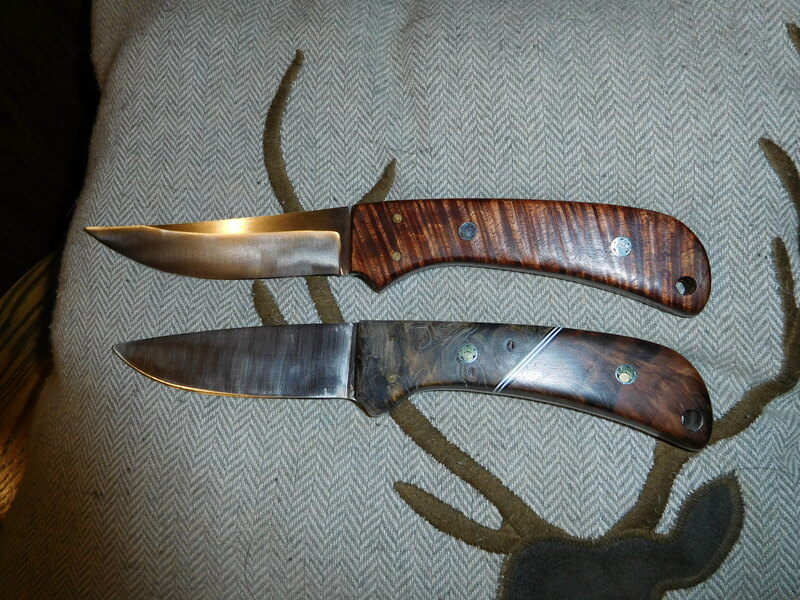 I got the sheaths done in time for both knives. An interesting topic is discussed here. I am all eyes and ears to read more about it! Knives can be used for lots of purposes. You should definitely check out electric filet knife reviews for more info regarding the subject. As for the kitchen appliances, it is always great to have an oven so you can read through the best countertop oven reviews as well.